Every performer needs a stage to showcase their abilities. Why not make your stage the best it can be-a stage that has you written all over it? 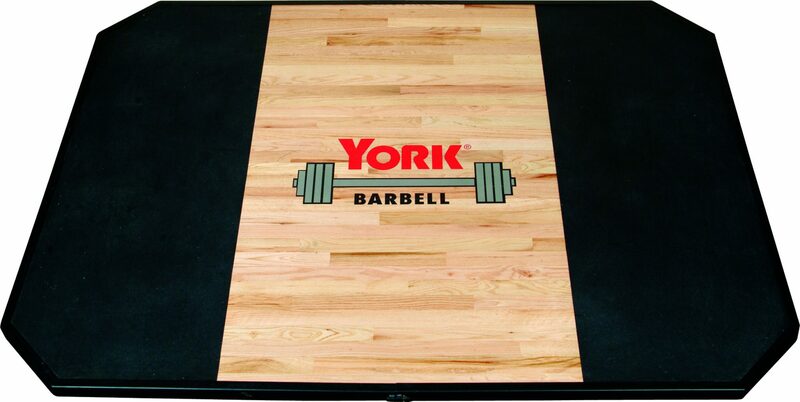 York Barbell offers a variety of sizes for their high performance professional grade platforms. These platforms are available freestanding and also for use with an inset to attach it to the following York racks: Half Rack, Power Rack, Multi-function Rack and both sides of the Double Half Rack. These platforms are hand crafted of solid red oak and are finished with polyurethane in the center, with the outer third of each side of the platform covered in a thick durable rubber matting. These come standard with a 12-gauge frame to hold everything in place and they can be customized with your own logo! 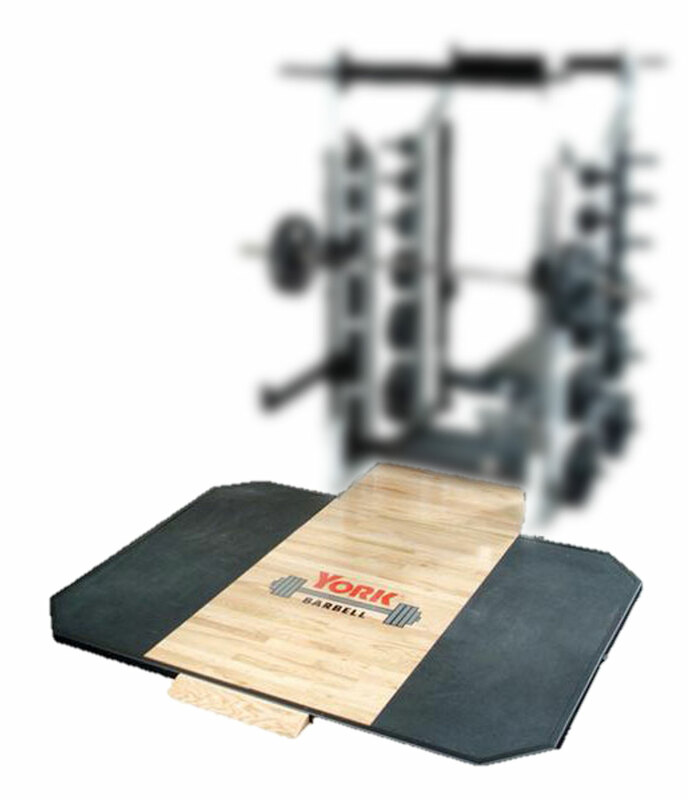 The York platforms are made in York, Pennsylvania, as are the plyo boxes, insets and the optional platform ramp. 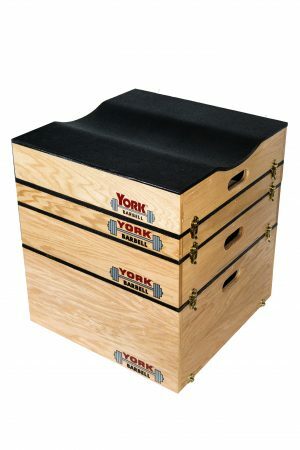 The plyo boxes are stackable with heavy duty hardware to join the sections and are made from ¾” oak veneer plywood and topped with thick 1/2” rubber. All of the plyo boxes are given three coats of commercial grade gloss polyurethane finish for added durability. 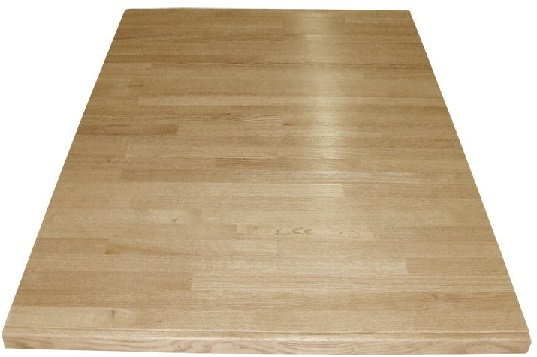 The insets are made of the same quality materials as the platforms and finished in the same style for a cohesive look. The optional platform ramp allows for the easy transport of the Multi-function bench on and off the platform and the insets. These wooden products are built to withstand years and years of heavy commercial use and with your own logo emblazoned in the center of the platform, everyone will be able to see the commitment you have made to a healthy life of fitness. Custom platforms are great for clubs, schools and commercial gyms. Now go out and set the stage for beastly gains! 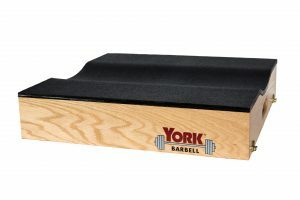 If you have any questions regarding our Plyo Boxes & Weight Lifting Platforms, or any other product in our entire inventory of gym equipment, please contact York Barbell today!